Pink Snow Rose is an evergreen or semi-evergreen shrub, 45-60 cm high, with oval, deep green, rather thick leaves that have an unpleasant smell if bruised (hence the speciies name foetida). The upright stems branch in all directions and form a wide bushy dome. It is grown for its neat habit, good coverage of branches and long flowering time. 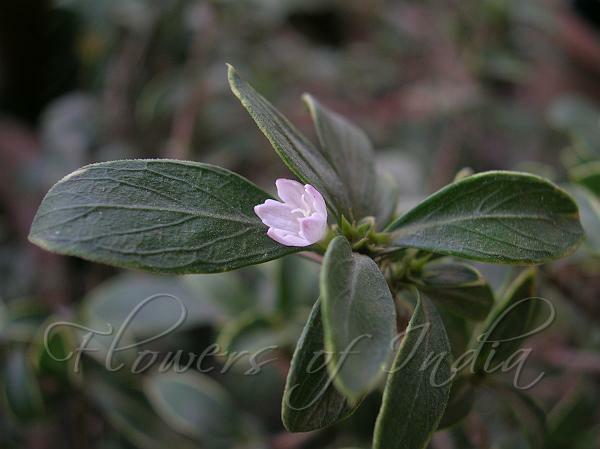 Serissa flowers practically all year round, but profusely from early spring to near autumn. The 4- to 6-lobed flowers are funnel-shaped and 1 cm wide. 'Variegated Pink' has pink flowers and leaves with creamy white margins. 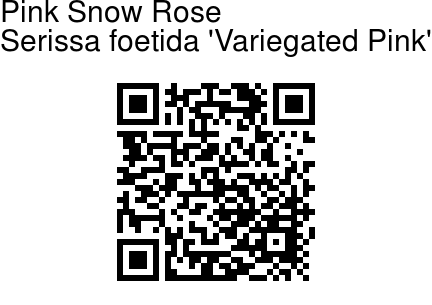 There is more beautiful, double-form of Snow Rose. It is native to open sub-tropical woodlands and wet meadows in southeast Asia, from India, and China to Japan.